Elita Wyckoff, MD, FACOG, is one of the many talented obstetricians and gynecologists at Cary OB/GYN, with offices in both Cary and nearby Morrisville, North Carolina. With patients, she’s known for being both professional and highly personable. 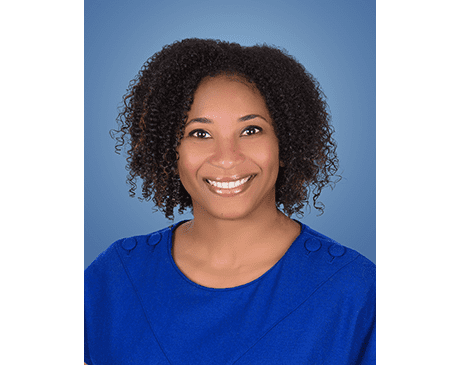 Dr. Wyckoff earned her Bachelor of Science from Spelman College in Atlanta, Georgia, and her medical degree from the Medical University of South Carolina in Charleston. After that, she briefly headed north to Cincinnati, Ohio, where she completed her residency at Good Samaritan Hospital. Today, Dr. Wyckoff is certified by the American Board of Obstetrics and Gynecology, and she’s a Fellow of the American College of Obstetricians and Gynecologists. Before moving to Cary with her husband Shannon and their children, Dr. Wyckoff practiced in Gastonia, North Carolina, for several years. Now settled in Cary, when she is not providing patients the best care possible, Dr. Wyckoff enjoys traveling, running, volunteering, and spending time with her family.